It hardly matters which way you approach the Empordà region of Catalonia: from France, via Languedoc-Roussillon and across the border through which countless Republican refugees streamed at the end of the Civil War, or from Barcelona, which lies a little over one hour south. The landscape, flanked by the shimmering Mediterranean and dominated by the Pyrenees which rise to the north, is equally distinctive whichever route you choose. Vines have been laboriously cultivated here since the Greeks arrived on the coast at Empuriés in the sixth century BC and established their Palaia Polis. 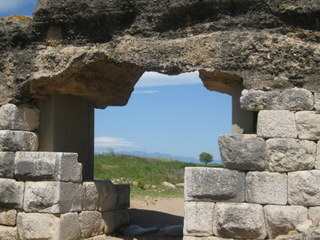 The Romans followed, expanding and building upon the Greek city (the site is a must on any Empordà itinerary) and exporting their wines throughout the empire. Later, in medieval times, it fell to the monasteries, including that of the wildly beautiful Sant Pere de Rodes perched high above the sea, to continue the wine-growing tradition. Empordà’s golden age of viticulture began in the 1760s and continued for a century. 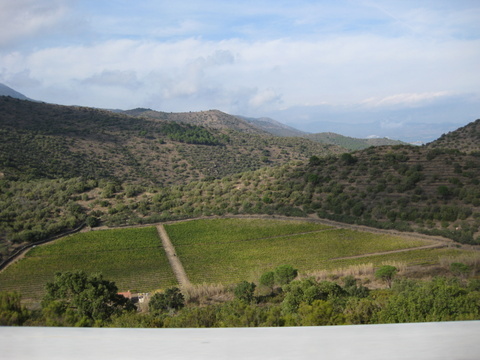 Ample evidence of this viticultural richness can be found in the extensive network of terraces and dry stone walls that still indent the steep hillsides of the magnificent Cap de Creus National Park. Then came phylloxera, which arrived from southern France in the 1870s and laid waste to these northern Catalan vineyards. It was a disaster from which – at least in terms of quantity – Empordà never recovered: of the 40,000 hectares of vines planted then, the figure now stands at under 2,000. Quantity certainly suffered; but quality is a different story. By the 1990s a few bodegas, led by the pioneering Castillo Perelada, were beginning to grasp the potential for improvement but it’s in the past decade that things have really taken off. Rafel Sabadí, sommelier at Restaurant Roser 2 in L’Escala, describes Empordà today as “en plena efervescencia”, bubbling with life. A bunch of young, highly motivated winemakers, fresh from their oenology studies, are busy renewing those ancient terraces and dry stone walls, resurrecting old vines – principally Garnatxa and Carinyena – and planting new ones. Their wines have bags of character and a strong sense of place, marked by the Mediterranean and given a good dose of tough love by the tramuntana winds that blast across the mountains from the north, stressing and ventilating the vines in equal measure. The map on the DO Empordà website gives a clear idea of the region and will help you to shape your travels. 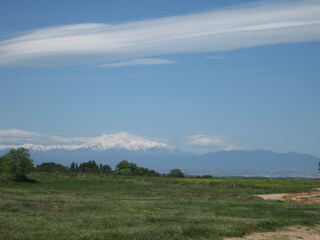 The majority of bodegas are situated in Alt (Upper) Empordà), north of Figueres with a handful more in Baix (Lower) Empordà, out towards the coast from Girona. Most require an appointment and make a modest charge for the visit. 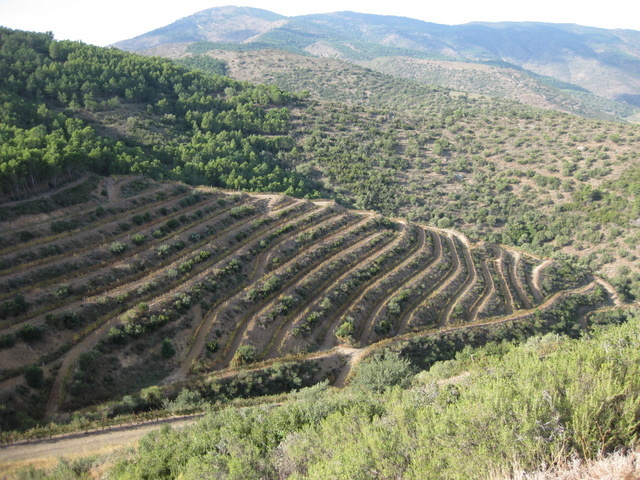 The most northerly vineyard is Vinyes dels Aspres in Cantallops, where talented wine maker David Molas works with 30 hectares of vines planted on slate and granite. Top of the range is S’Alou, an impressive Garnatxa/Carinyena/Cabernet Sauvigon/Syrah blend while Blanc dels Aspres, an old-vine Garnatxa Blanca, is one of the region’s best-value whites. Just to the south in Capmany, Carme Casacuberta at tiny Vinyes d’Olivardots is one of the new generation to have swelled the ranks of DO Empordà members from 26 to 50 in recent times, harvesting her first crop in 2006. Look out for Gresa, a four-grape blend including some from 100 year-old Carinyena vines, which snagged the top award at Arrels del Ví, the annual wine fair and Empordà showcase held in Sant Martí d’Empuriés (7-8 June 2014). It’s worth visiting Joan (Catalan for Juan) Fabra at Marti Fabra in Sant Climent Sescebes to taste the full range from this exciting bodega, but if time is short you can find their wines (favourites are Masia Carreras, both white and red) on the lists of the top restaurants in the region, including Pera Batlla in L’Armentera. And while you’re at it, note the modest mark-ups applied by the region’s restaurants, which adds to the delight of dining out here. 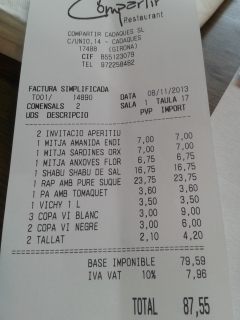 Before heading out to the coast, make a date to visit Mariona Parals at Roig Parals in Mollet de Peralada. Top of their range is Camí de Cormes, a muscular wine from 120 year-old Carinyena vines (known here as Samsó), whose 15% alcohol is tempered by the grape’s natural acidity. 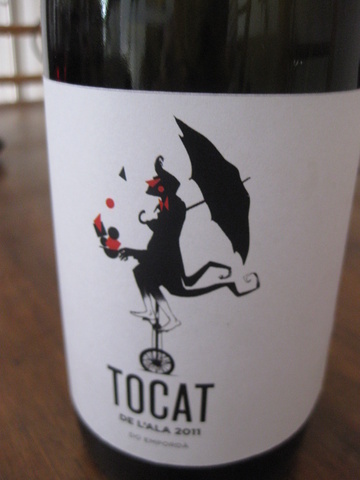 More accessible is Tocat de l’Ala, a stylish, young-at-heart wine from old-vine Carinyena and Garnatxa made in a joint venture with Montsant winemakers Coca i Fitó. 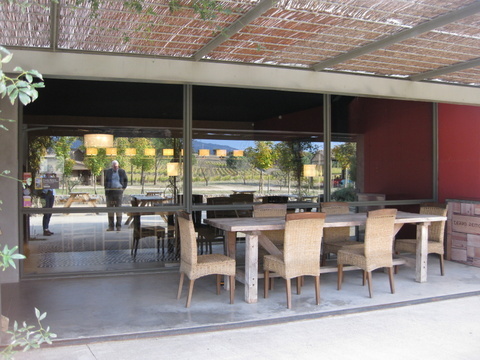 Last stop should be at the new kid on the vine block, Hugas de Batlle. 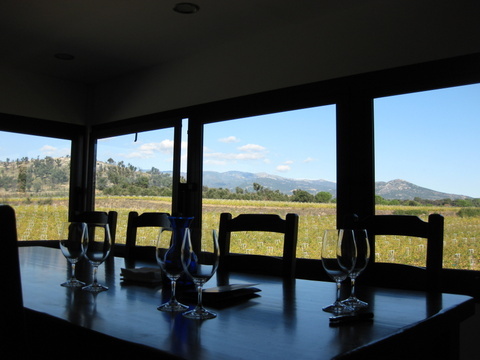 Tastings are prefaced by a bone-shaking tour in a 4 x 4 of their four dramatically sited vineyards, carved into the hillside high above Colera with sweeping views out to sea. Later, as we sip a flowery Moscatel/Garnatxa blend and sniff the spicy, brambly aromas of Coma de Vaixell (Merlot and Cabernet), Edu Hugas de Batlle reminds us of the four key elements they have to play with: vines, sea, mountains and tramuntana winds, all captured in the bottle. “It’s over two thousand years since the Greeks first brought vines to Empordà,” concludes Dominic Abernethy, the brains behind the Arrels del Ví wine fair and proud champion of the region’s wines, “but it’s only thanks to the dramatic rise in quality in the past decade that they’re finally gaining recognition.” Time for a visit. 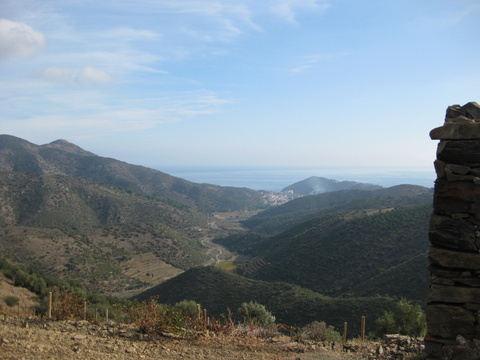 If you have just one day in Empordà, consider this route that takes you through vineyards, olive groves and umbrella pines with the Albera mountain range as backdrop and out to the coast via Cadaqués to L’Escala. 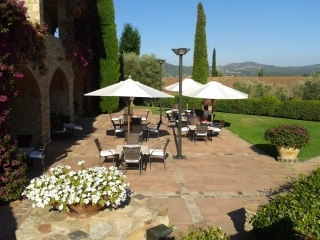 Tastings at both Terra Remota and Mas Estela and visit to Dalí Museum must be pre-booked. MORNING: Start the day at Terra Remota, a massive, brand-new, organic winery (first vintage 2006) between Capmany and Sant Climent Sescebes created by French couple Marc and Emma Bournazeau. For another day, note their picnic lunch option beneath the pine trees (€38 for two with Jabugo ham, local sausages, cheese, fruit and the house wine), before continuing eastwards on the country road to Llança. Then head south along the winding coast road to just short of Port de la Selva and take a right turn up to La Selva de Mar. Press on through the village and up a cement track into a wild valley criss-crossed with hiking trails – Sant Pere de Rodes is just up over the top. Hidden at the end of the track is the beautiful Mas Estela estate where Nuria and Diego Soto-Dalmau and son Didac, established here since 1989, will show you their range of naturally produced organic and biodynamic wines. Return to the coast road and make your way across the rugged Cap de Creus peninsula to the whitewashed fishing village of Cadaqués, made famous by Dalí who settled in nextdoor Port Lligat. 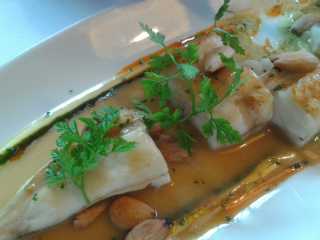 Share some creative tapas for lunch at Compartir. 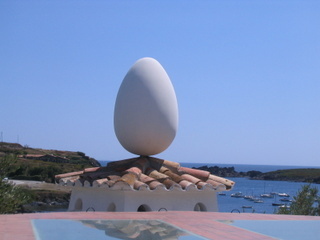 Fifteen-minute stroll round to Port Lligat to the Dalí museum. 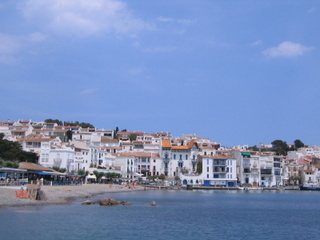 Return to Cadaqués and drive back inland to Castelló d’Empuriés and across the Aïguamolls wetlands to L’Escala to check in at Hostal d’Empuriés. Time for an evening swim in the bay, or a reviving session in the spa. 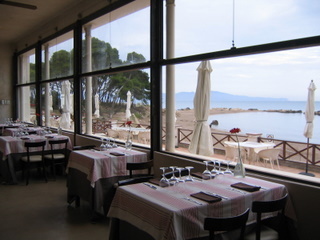 Either dine in-house in Restaurant La Teresita, with delicious views out over the bay; or go round to dinner at El Roser 2 in L’Escala – a 15-minute walk or a 5-minute drive. In summer you can take the Carrilet tourist train which stops by the entrance to the Empuriés Museum (one train per hour until midnight). 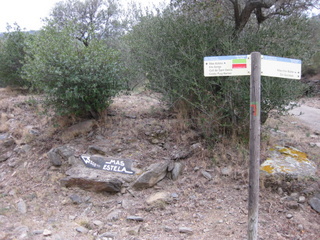 Can Batlle, Garriguella, Tel. 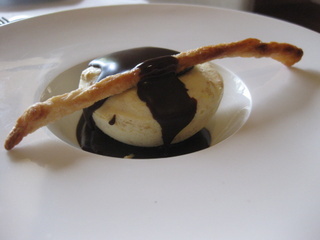 +34 972 53 05 98: Simple, family-run village restaurant with a rabbit warren of vaulted dining rooms and large terrace, hugely popular with locals and visitors alike for classic Catalan cuisine – the daily lunch menu is a steal. 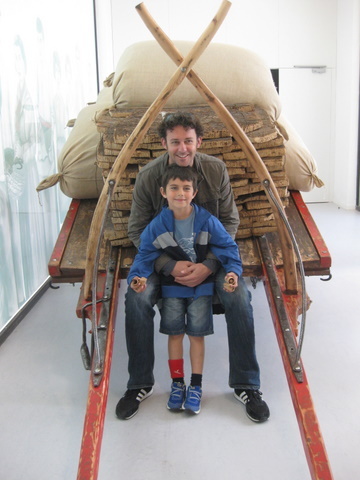 My kind of day… Beautifully written Sue. Thanks, dear Petra…and almost on your doorstep! Can’t wait to see u again in June. 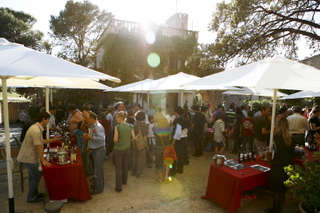 Come on down with us to Emporda for the Arrels del Vi?